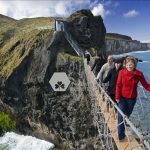 Ireland enjoys over 1,448km of spectacular coastline, surrounded by the Atlantic Ocean on the west and the Irish Sea on the east. 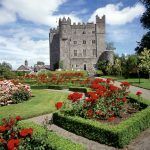 With lunar landscapes, labyrinthine caves and crystal clear waterways, Ireland’s diverse landscapes will take your breath away. As well as towering cliffs, clear fresh waters and pristine sandy beaches, Ireland’s coastline boasts thriving cities of culture and heritage (not to mention great shopping!) and lively fishing villages bustling with traditional pubs and delicious seafood. Wherever you dock, you are sure to receive a famously warm Irish welcome. 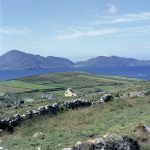 While your time on Irish soil may be limited, you are guaranteed to have a wonderful time and you will leave planning your next visit! 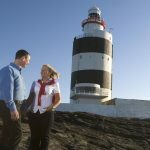 You can learn more about Ireland’s welcoming port destinations on this website. Cruise Ireland is a marketing co-operate, which was formed in 1994 to promote the island of Ireland as a premier cruise destination. Our members include Port Authorities, ship agents, ground-handling agents, retail and visitor centres, transport companies, local authorities and tourist organisations. You can find out more about our members and their services on this website.